Chairman; Doug Livgren serves as the Junior High Bible Class teacher and plays violin during the Sunday worship services at Clay Center Christian Church. He lives near Harvard with his wife, Sandy. They have 3 children: Kendra, Joel, and Lance. Doug is a farmer. In his free time, he enjoys aviation, hunting, fishing, horse and mules, and playing the violin. Kenneth Lockling serves as the Nursing Home Ministry Team Leader at Clay Center Christian Church. He lives in Harvard with his wife, Jane. They have 5 children: April, Kristi, Amanda, Tammy, and Janae. Ken is a commercial beekeeper and a carpenter. In his free time, he enjoys spending time with his family. 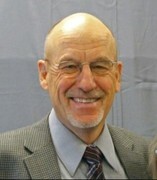 Secretary; Raymond “Butch” Stratman serves as an Intersection Group Leader at Clay Center Christian Church. He lives in Clay Center with his wife, Janice. In his retirement, he enjoys golf, hunting, fishing, woodworking, and stained glass. Lyle VonSpreckelsen lives near Clay Center with his wife, Peggy. They have 4 children and 9 grandchildren. Lyle is a farmer. In his free time, he enjoys bird dogs, hunting, fishing, scuba diving, and golf. Vice Chairman: Jim Gavin grew up in Clay Center and attended Clay Center Christian Church inchildhood. He was baptized by John Green on July 2, 1989. Jim met his wife, Renee, in 2001 and was blessed to have the honor of baptizing her on June 4, 2006. Jim and Renee were married June 4, 2011. They have 2 children: Chantal, who lives in Hastings; and Greg, who lives in Madison, WI. Jim has worked in the manufacturing industry most of his life, most recently with Mid America Pump as a lathe operator and welder. He enjoys playing golf, reading, home-remodeling, and spending time with family.